In the United States, there’s no authority regarding fire safety more respected than the National Fire Protection Association (NFPA). The NFPA is the entity that creates the fire protection standards. OSHA and other regulatory organization enforce when auditing businesses and facilities. Fire is such a unique hazard that it requires a special kind of expert to assess, formulate, and maintain best safety standards and practices. Safety experts learned long ago that they needed help managing fire standards; that’s where the NFPA comes in. The NFPA 99 standard for healthcare facilities was originally created to curate and record the expanding and growing documents coming from the original NFPA Committee on Hospitals. Because healthcare operations have such a unique and specialized mission, that special NFPA committee realized that they needed a specialized standard that addressed those specific needs and hazards. Today, this standard covers everything from pipe marking requirements to safe storage of flammable materials and everything in between. By 1980, 12 documents had been created on a variety of subjects, and it was clear to the larger NFPA organization that fire-related problems in health care facilities had enough unique-to-their-field issues that they deserved their own regulations. The original docs covered topics on emergency preparedness in health care facilities, safe use of electricity in close proximity to patients, safe use of high-frequency electricity in health care facilities. In 1984, a fully cohesive edition of the NFPA 99 regulations was published to create an official, all-encompassing regulatory body that specifically monitors the health care field. To keep in line with Kaizen, the Lean manufacturing concept devoted to continuous improvement, NFPA 99 has strived to improve throughout the years. The committee continues to revise NFPA 99 to better meet, regulate, and support the safety needs of healthcare facilities. Incorporated NFPA 56F, Standard on Nonflammable Medical Piped Gas Systems. Made structural changes to make requirements easier to read, easier to determine where requirements are applicable. Technical changes included correlation with NFPA 101 Life Safety Code, and changes for compressed medical air systems on the use of gas-powered medical devices operating at a gauge pressure of 200 psi and piped gas systems in general. 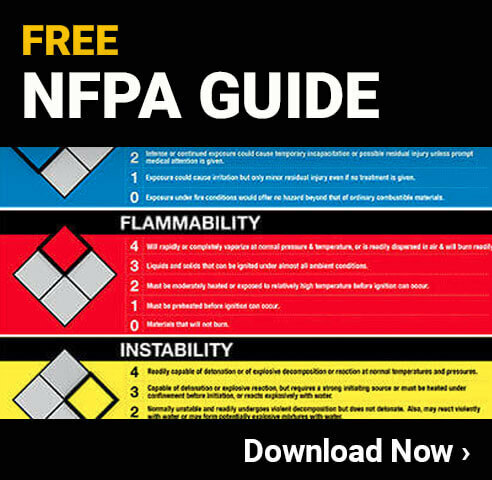 NFPA 99 attempted to increase user-friendliness. The standard was formatted to include “recommended” guidance more apparent and easier to find in one spot, or in the same spot for each chapter. This edition saw significant changes, which included Chapters on ambulatory health care centers, clinics, ad medical/dental offices were replaced by Chapter 13, which covered health facilities other than hospitals, nursing homes, and limited-care facilities. Additionally, another chapter was added for birthing centers. NFPA 99 revision Technical and format revisions, inclusion of Manual of Style for NFPA Technical Committee Documents, a document that was created to establish and maintain continuity thorough the association standards and documents and such. Allowed for a centralized computer to be allowed to be used in lieu of one of the master alarms for medical gas and vacuum systems. Stainless steel tubing was added as an approved material for vacuum systems. This was a year of big changes. The whole premise changed from occupancy-based to risk-based document, to ensure safer facilities. NFPA 99 now became a “code” instead of a “standard” to reflect how the document is used and adopted by applicable facilities. This change was made to reflect how health care is delivered. The risk to the patient doesn’t change from procedure to procedure; therefore, NFPA 99 eliminated occupancy chapters and transitioned to a risk based approach. New Chapter 4 outlined the parameters for this approach. The Code now reflected the risk to the patient in defined categories of risk. Building upon the major changes made in the 2012 edition, the 2015 update revised risk categories so that they could be more inclusively applicable to equipment and activities. In previous versions, risk categories were applied to chapters that deal with systems. This made risk easier to assess. Edition also adapted correlating requirements for NFPA 70. The Current Edition: What’s New? Requirements surrounding the risk assessment in Chapter 4 has been changed to put further emphasis on assessing risk and determining risk categories through collaboration. Chapter 5 now includes requirements that allow facilities to use oxygen concentrators as central supply sources for piped systems. The use of corrugated medical tubing for medical gas and vacuum systems is now permitted. Reconfiguration of Chapter 6 to be a more intuitive and organized experience for readers. The revised chapter now better groups related requirements and has condensed requirements for EES to eliminate duplications/repetition. Chapter 7 now outlines requirements for wireless phone and paging processes as well as for clinical IT systems. Chapter 14 now collects in one section all requirements for testing, routine maintenance, and audits for hyperbaric facilities. NFPA 99 is a crucial piece of any healthcare facility. Be sure to study up and make sure you’re in compliance.